Home/Cruise Gossip/What floats your boat? My report yesterday that New Kids on the Block would be playing on Carnival Imagination in May demonstrated that cruise ships are not just a care home for has-been entertainers. Or maybe it didn’t, depending on your opinion. But it started me thinking about the perfect cruise entertainment. Now I know that for some people, an ideal evening is an early-sitting dinner and being tucked up in bed by nine o’clock with a cup of cocoa. After all, there might be a hectic day of shuffleboard, bridge, and napkin folding tomorrow. For others (and don’t look at me like that) it might be a hectic whirl of dinner, theatre, disco, midnight buffet and casino before staggering back to the cabin in the wee small hours, wondering why the ship is rolling so much when the sea is as smooth as a millpond. 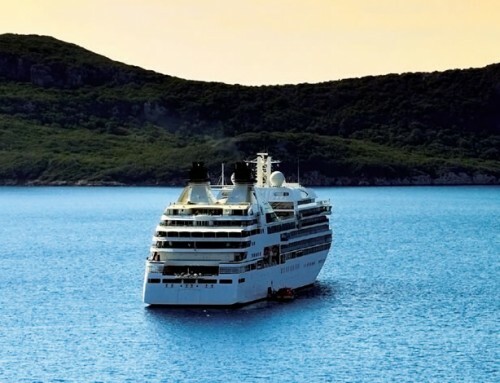 But what IS the perfect evening on board a ship? I have split my sides at comedians on the Black Watch, Arcadia and Island Star, where the laughs come from smart performers who know just what sort of audience they’re dealing with.